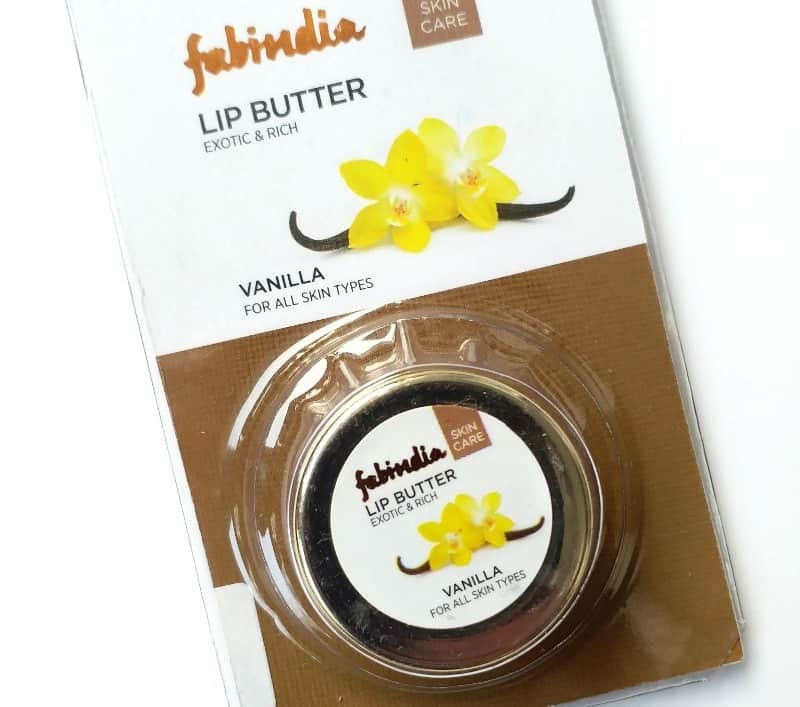 Home ReviewsBeauty Fabindia Lip Butter Vanilla is it Worth It ? Don’t we all love our lip balms and lip butter! I do. So I will be reviewing a lip butter by one of the most trusted brands in India- Fabindia, who have some launched some amazing skincare. 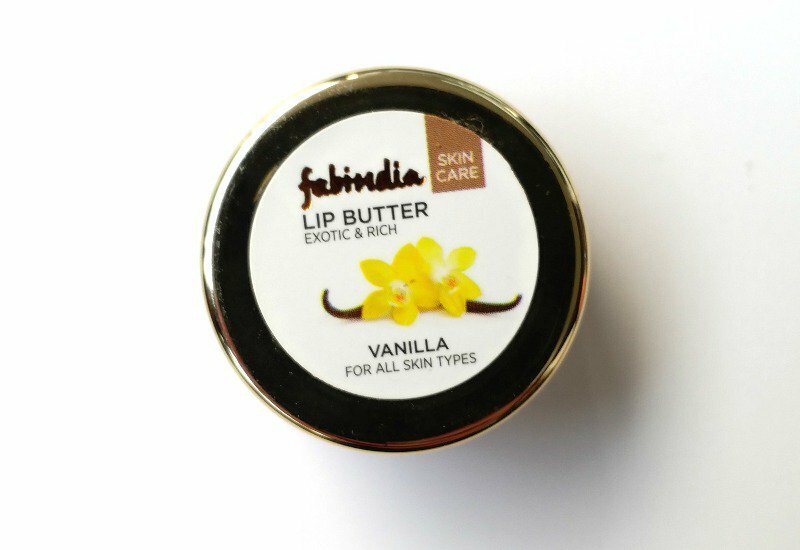 Let us see if this Fabindia Lip Butter Vanilla lives up to the expectations or not. This is a lip butter from Fabindia. 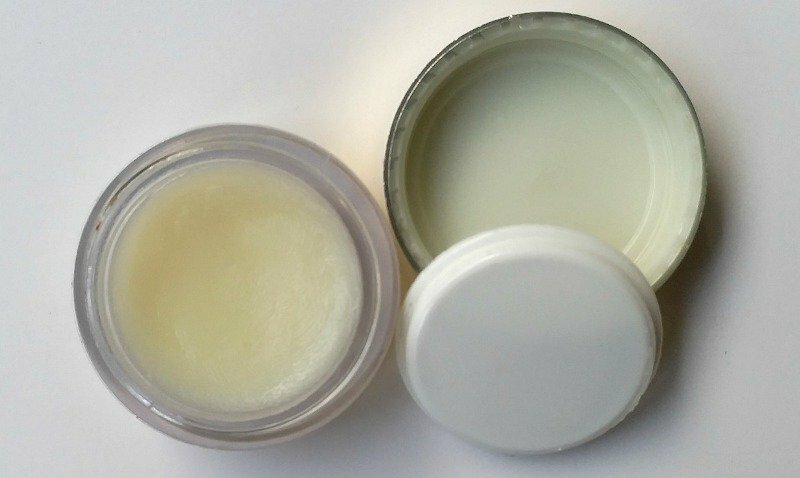 The lip butter is supposed to soothe and hydrate your lips at the same time. This one comes with an addition of vanilla fragrance. It is for people with all types and combinations of skin but the product recommends a patch test. Take a small amount and apply on the lips to give them a dose of hydration. Packaging- The lip butter comes in plastic packaging with a paper which gives the user the information about the ingredients and usage. The product comes in a tub with a golden screw cap and an additional plastic lid to secure the product. The tub is tiny and can be carried around easily. Fragrance- The lip butter sure has a vanilla fragrance but also has the undertones of the Shea butter fragrance which I personally adore. The fragrance lasts for an hour post it fades. But people who do not like earthy or vanilla fragrance should keep a safe distance from this product. Texture and Color- The lip butter does not necessarily have a buttery texture but a bit waxy one. It has absolutely no color at all, thus it can be worn under lipsticks or on its own. This is a perfect lip butter for people who do not like the color on their lips but still want good moisturization. Moisturization- The lip butter sure does give the lips moisturization and hydration. It lasts for a good five to six hours after which you have to re-apply the lip butter. My Experience- I have grown really fond of this lip butter. It really helps with dry and cracky lips and stays on for a long time. Also, when I apply it at night it makes my lips really soft and supple by morning. In my opinion, this is an excellent product, the only problem being dipping the fingers into the product to use it. The tub packaging makes you dip your fingers into the product which makes it unhygienic to use. I would surely recommend this product as it works wonders for me, so I can safely say it is worth giving a try at the price. Etude House Magic Cushion | Best Cushion Foundation ?